“You know, I’m an Avenger now.” Being a super hero and a full-time father, Scott Lang is struggling to balance both sides in his daily life. When confronted by Dr. Hank Pym and Hope van Dyne with an urgent new mission, he has to put on the Ant-Man suit which allows him to grow or shrink and learn to fight alongside with The Wasp as the team works together to uncover secrets from their hidden past. Sideshow and Hot Toys are excited to present today the Ant-Man Sixth Scale Collectible Figure! 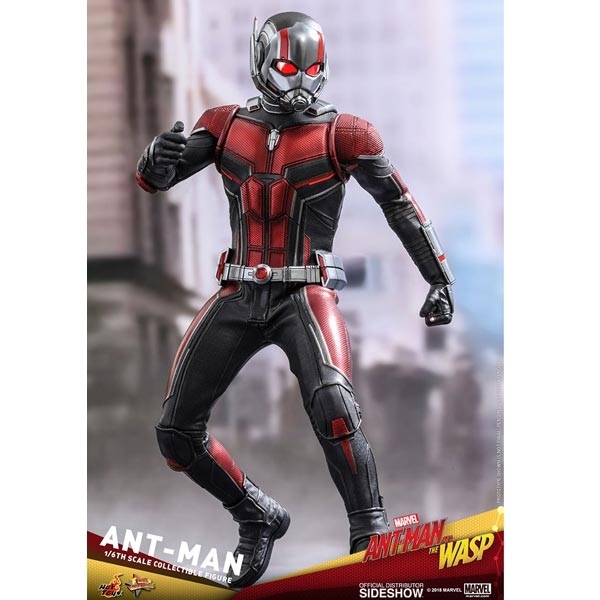 The movie-accurate collectible figure is specially crafted based on the image of Paul Rudd as Scott Lang / Ant-Man in the movie. 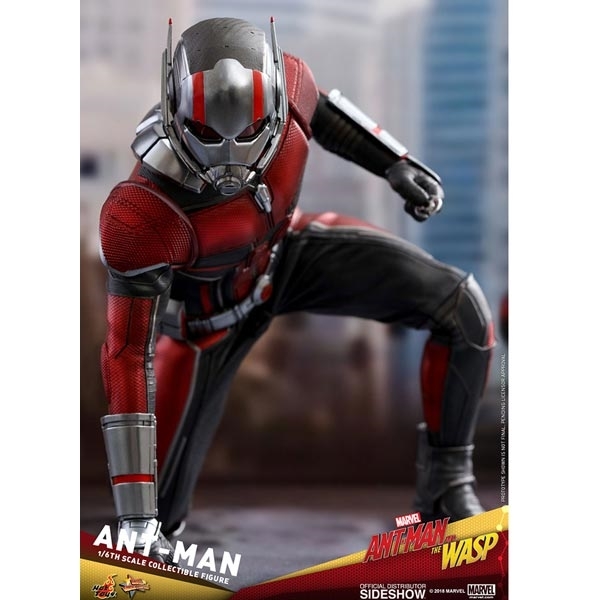 It includes two interchangeable heads featuring a newly developed head sculpt and a helmeted head sculpt with an LED light-up function that bears a high resemblance of a closed helmet showing part of Ant-Man’s face. 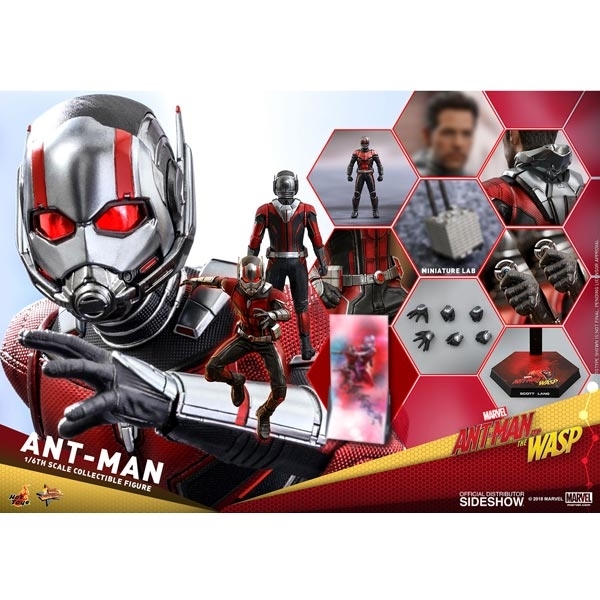 The figure also features a skillfully new tailored Ant-Man suit to enhance articulations, a standing Ant-Man miniature figure, a shrunken lab, two discs, an opened helmet accessory attachable to the back of figure, and a specially designed figure stand with character backdrop.